Convert paper contracts, agreements and other images like JPG, GIF, PNG, BMP, etc. 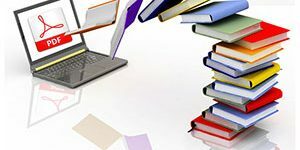 into PDF files with a streamline workflow. Absolutely free. No signup or limitations! 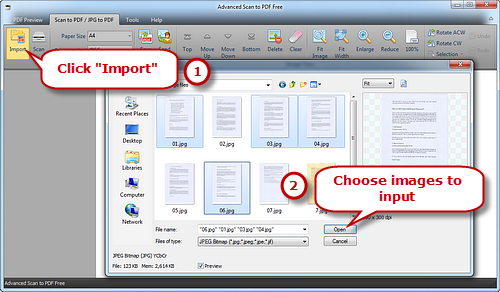 Scan your documentation to PDF files! 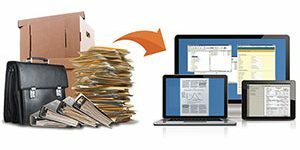 Revolutionary freeware for digitizing and sending of paper documents over the internet. Now, scan a paper document and pictures that contains text to PDF form that can be easily distributed, tracked, and analyzed. Advanced Scan to PDF Free is a simple to use, yet sophisticated file conversion utility specifically designed to convert thousands of image files including photos, drawings, scans and faxes in JPG, PNG, GIF, BMP, TIF and tons of other formats into PDF files with accurately preserving the layout of original image files. You can scan newspapers, magazines, novels, reports, essays, comic books, records, and documents like as Proof of Delivery, Off Hire Note, Health and Safety Sign offs, Drivers Time Sheets, Customer Purchase Orders, etc. to go paperless and declutter your place. 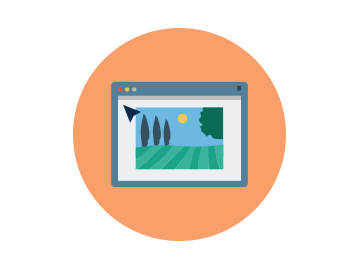 You can also transform images captured with your camera or downloaded in countless image formats! When scanning paper documents, it sometimes needs to adjust them before converting to PDF file. Advanced Scan to PDF Free can rotate or flip images in clockwise rotation or anticlockwise rotation to adjust image orientation to desired demands. 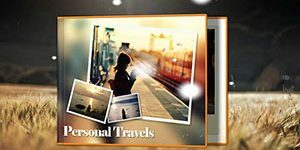 It can also crop images to your own size; crop image selection to clipboard and paste to other picture editors to create new image. You can always roll back to the previous version of the image with unlimited Undo and Redo in case you make a mistake. The built-in preview window gives you real-time preview of files to check if they’re the files you want as you click on them. 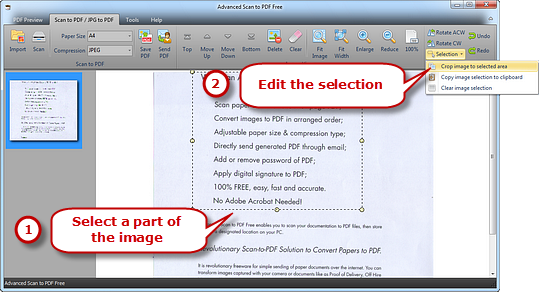 With this faster and lighter PDF viewer, you can open, view, and print any PDF file without waiting. What’s more, it is also available to add some metadata like title, author, subject, etc. to your PDF files. 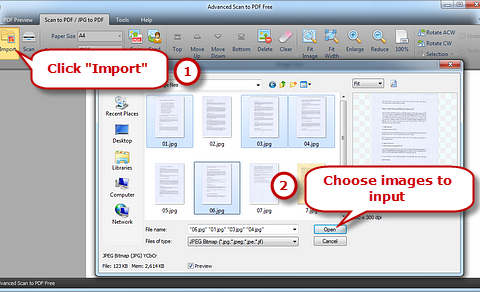 A fast and reliable program gives all you need for the PDF viewer of your choice. When inputting the images files, you can view images with Fit Image/Width and Enlarge/Reduce as needed or arrange the images order to generate PDF file. 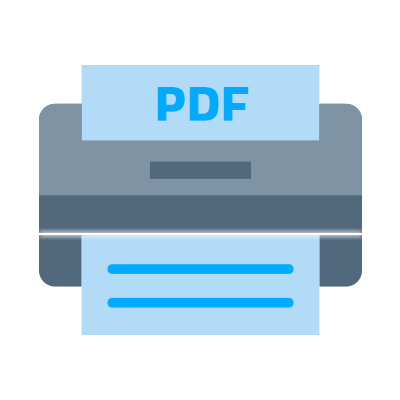 Once Advanced Scan to PDF Free is set up, there is no problem to send PDF files without changing the original by Outlook with one-click e-mail attachments. It helps handle email-based communication more efficiently and simplify email search and retrieval, bridging the gap between Outlook and your files. 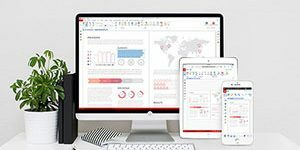 This convenient email facility lets you quickly share PDF files (this could be a letter, statement, contract, magazine article or just about anything) with friends and colleagues. 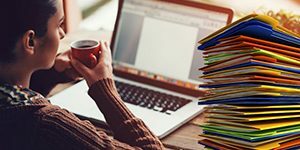 Want to protect PDF files without losing data integrity? Just add password to your PDF files to keep your confidential information confidential. PDF files can be password-protected to prevent access from unauthorized persons. The files are encrypted and their contents can only be viewed after the correct password has been entered. 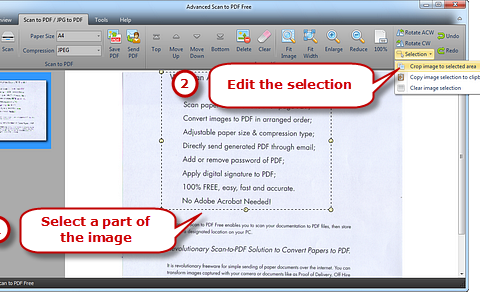 In this way, you can restrict who can view, edit, copy, print or add comments to your PDF document. 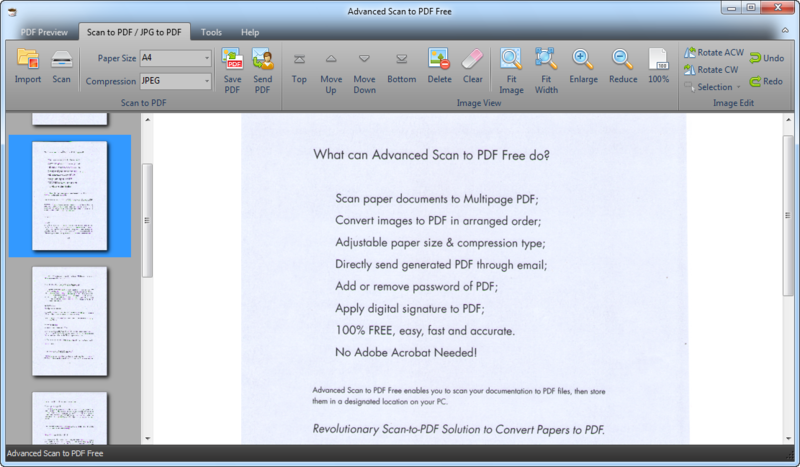 Conversely, Advanced Scan to PDF Free lets you remove the password so that you can modify, print or copy secured files. Advanced Scan to PDF Free provides a secure and reliable digital signature verification platform for PDF documents without putting the user at risk from falsified documents. 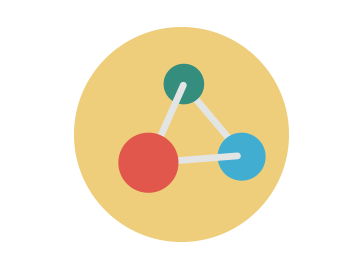 Users are allowed to identify and authenticate the originator of the information or verify that information has not been altered after it is signed by applying a digital signature. The PDF Files created by Advanced Scan to PDF Free are surprisingly good quality. It can also produce ultra-high quality scans with the same level of detail as the original photos. Of course, you can also control the output quality by choosing the proper paper size and output compression type for professional use. 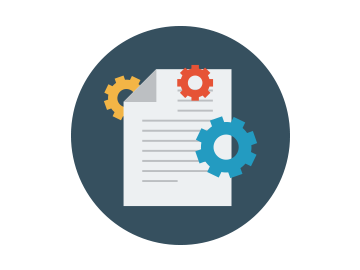 High quality scans & PDFs are suitable for upload and optical character recognition (OCR).